IN DECEMBER 1914, THE BRITISH GOVERNMENT APPOINTED THE HISTORIAN, STATESMAN AND DIPLOMAT JAMES BRYCE TO INVESTIGATE GERMAN ATROCITIES IN BELGIUM. THE RESULTING REPORT REMAINS ONE OF THE MOST DIVISIVE DOCUMENTS OF THE FIRST WORLD WAR. The report, or Blue Book, by the committee charged with investigating alleged German outrages is widely acknowledged as having been very influential in turning international opinion against Imperial Germany, especially in the United States. Tens of thousands of copies were circulated through the arteries of global power—embassies, newsrooms and government buildings. Sadistic descriptions of dismembered bodies, raped nuns and mass civilian executions pushed a wavering anti-German sentiment over the edge and into a zone of bitter and merciless hatred. An ‘axis of evil’ was deliberately constructed by promoting a clash of European civilisations: the barbarous ‘Hun’ versus the valiant ‘Tommy’. The man entrusted with overseeing the committee, whose name stands over the report as a document of history, was James Bryce, born on Arthur Street, Belfast, in 1838. Bryce’s appointment at the end of that year to chair the committee into German atrocities added both personal integrity and intellectual legitimacy to an issue that has proved to be consistently controversial. What gave his selection further gravity was his extended association with different investigations of atrocities and crimes against humanity. He had regularly intervened in the international tragedies of the late imperial age. In 1876, following a visit to Bulgaria and Transcaucasia, he collaborated with various public figures, including the Irish churchman Augustus Stopford Brooke, the social activist William Morris and two fellow historians, John Richard Green and W.E.H. Lecky, in a campaign to defend the Bulgarian people suffering under Ottoman rule. The ‘Bulgarian Horrors’ motivated other high-minded Liberals, most notably William Gladstone, to make an ethical stand against the political apathy promoted by Disraeli, who preferred to uphold British support for the Ottoman Empire, ‘the sick man of Europe’. Bryce’s interest in the region would continue for the rest of his life. In 1879 he founded the Anglo-Armenian Society, and Armenia became his principal campaign in an age that witnessed an escalation of violence against minority groups and vulnerable indigenous populations. Following in the anti-slavery tradition of Daniel O’Connell and R.R. 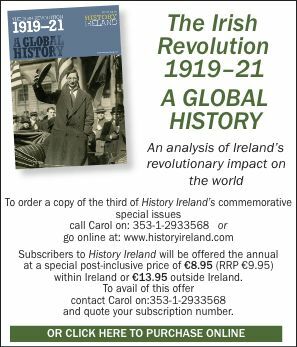 Madden, several notable Irish Home Rulers recognised the importance of having ‘humanity’ and ‘right’ on their side. Bryce shared such a view. In his Impressions of South Africa (1897) he wrote a work that attracted support from other Liberals, but the declaration of war between the British Empire and the Boers in late 1899 split the Liberal Party. Rising Liberal imperialists such as Rosebery, Asquith, Grey and Haldane supported war, while Campbell-Bannerman, Bryce, Morley and Lloyd George were vehement in their opposition to Chamberlain’s belligerency. Bryce remained a potent voice of opposition to the conflict and advocated for a fair and negotiated settlement. Supplementing their ‘scorched-earth policy’, Britain developed concentration camps (a plan initiated by Major-General J.G. Maxwell of 1916 Rising notoriety). The concentration camps policy led to the death in the whites-only camps of 4,177 women, 22,074 children and 1,676 men. In separate camps for Africans, it is conservatively estimated that a further 14,000 died—once again the majority were women and children. Bryce worked behind the scenes against the war and encouraged his close friend, the Irish historian Alice Stopford Green, in her investigation of the conditions of Boer prisoners held on St Helena. Britain’s reputation suffered immensely from the Boer War. In an effort to rebuild its post-conflict reputation, the British Foreign Office came out strongly in favour of righting the appalling wrongs in Belgian King Leopold II’s Congo Free State. Congo atrocities were used at a diplomatic level to divert attention away from Britain’s own outrages in southern Africa. The Congo tragedy provoked a series of investigations into the misdemeanours of colonial authority and the abuses perpetrated by imperial systems. International solidarities were built upon shared concern about a series of crimes against humanity. In 1910 Britain’s consul general in Brazil, Roger Casement, was commissioned by the British Foreign Office to report on allegations of atrocities in the north-west Amazon. He undertook two voyages up the river in 1910 and 1911. On his way back from the second voyage, he was invited by Ambassador Bryce to Washington. There he met with US President William Taft and, in the light of their meeting, Bryce and Casement cooperated in persuading the US State Department of its responsibility for protecting the rights of the South American indigene. The publication of Casement’s Blue Book on the mistreatment of the Putumayo Indians (1912) contributed to the chaotic end to the Amazon rubber boom. The extractive rubber market collapsed. International investment switched to the burgeoning plantation economy of British and Dutch colonies in south-east Asia. If this was a short-lived victory against the forces of inhumanity, it showed how the righting of wrongs can be strategically used to influence market forces. Venture capital was as ruthless then as it is now in exploiting the vulnerabilities of the workforce in order to meet the demand for natural resources. 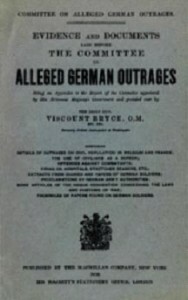 Following his retirement as British ambassador in 1913 and his return to London to take up a seat in the House of Lords, Bryce accepted the brief to chair the committee to investigate German outrages in Belgium. By then he had a highly tuned knowledge of crimes against humanity in different temporal and geographical contexts. He understood, too, the historical implications of his brief. Other eminent historians and legal luminaries sat with him on the committee. They included the jurist Sir Frederick Pollock, H.A.L. 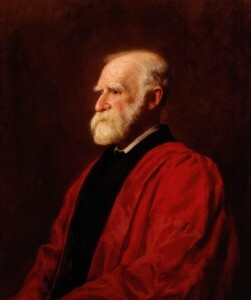 Fisher, who would later write Bryce’s biography, and the constitutional lawyer J.H. Morgan. The report, or Blue Book, by the committee investigating alleged German outrages is widely acknowledged to have been very influential in turning international opinion against Imperial Germany, especially in the United States. Germany’s violation of Belgian neutrality was the defining determinant of Britain’s intervention in the war. In the autumn of 1914, reports on German military outrages against the civilian population had been used to whip up anti-German sentiment. There was a need to dehumanise Prussian militarism in the eyes of the British public. Inevitably, there were suggestions that the stories were exaggerated; certainly, the level of wartime rumour-mongering resulted in some far-fetched claims. The Bryce committee was entrusted with assessing the veracity of such allegations. The bulk of the evidence in the report was composed from testimonies gathered from Belgian refugees and from self-incriminating diaries taken from captured or dead German soldiers. Despite assurances that these sources would be held until after the war, they have never come to light. Historians have been denied the possibility of verifying the evidence and of investigating claims of exaggeration and unsubstantiated anecdote. Bryce’s report was published in May 1915, the same month in which the Lusitania sank off the coast of Cork. It was a moment when the propaganda stakes were running extremely high. Revelations of outrages against Belgian subjects coincided with further unsettling news, this time from inside the Ottoman Empire. 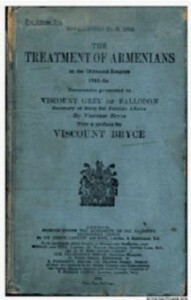 Bryce’s second report, Treatment of Armenians in the Ottoman Empire 1915–16, covered more familiar terrain; he had been following the plight of the Armenians for almost 40 years. In the late spring of that year, as the disastrous Gallipoli campaign kicked off, stories were reaching Europe of the atrocious plight of the Armenians. 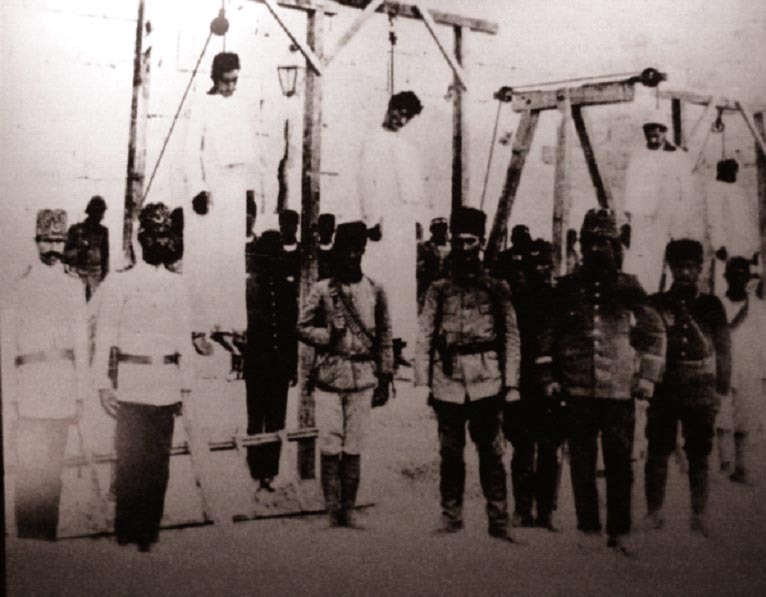 After decades of intimidation and organised violence, the armed forces of the Ottoman Empire initiated the methodical deportation and massacre of Christian communities concentrated in eastern Anatolia. Bryce now switched his attentions and collaborated with the historian Arnold Toynbee on another Blue Book. It was published the following year as Treatment of Armenians in the Ottoman Empire, 1915–16. This was terrain with which he was far more familiar. Bryce had been following the plight of the Armenians for almost 40 years. While the two reports bearing his name have similarities in how both investigations were conducted, they are for the most part completely asymmetrical. Compared to the 5,521 civilians killed by the German army in their invasion of Belgium, the Armenian massacres resulted in the death and displacement of at least 500,000 people from 1914 to 1918, and probably very many more. By lending his name to two such deeply controversial official reports, Bryce was inevitably laying himself open to much scrutiny and potential criticism downstream. At the time, one of his fiercest critics was his former collaborator Roger Casement, who in 1915, while seeking to forge an alliance between nationalist Ireland and Imperial Germany, wrote a scathing attack on the Bryce inquiry: The far-extended baleful power of the lie. In this essay he condemned his former diplomatic colleague for committing an act of intellectual treason by betraying his core principles as a historian and ‘prostituting an honoured name to dishonourable ends’. Did Casement have a legitimate claim? Later historians have recognised that the Bryce investigation raises awkward questions about the unsettling intersections between history and propaganda. In the war of words that conflicts inevitably produce, his report made a crucial contribution both to justifying Britain’s entry into the war and to persuading the rest of the world of the righteousness of that intervention on behalf of plucky little Belgium. Occupying and maintaining the moral high ground is a vital step in the assertion and mainten-ance of victory. Whatever it achieved in the months after its release, Bryce knew that his report and evidence would shape dominant narratives and perceptions far into the future. Once peace came, a case was made that German atrocities in 1914 had been exaggerated and were part of the propaganda offensive required of Total War. But the controversy remains unsettled. Revisionist histories of recent years, notably the work of John Horne and Alan Kramer (German atrocities, 1914—a history of denial, reviewed in HI 10.2, Summer 2002), have constructed new arguments that both debunk and redefine German atrocities and bolster some of the fault lines in Bryce’s methodology. There are still, however, unasked and unanswered questions about Bryce’s two reports. Both their intent and content need to be considered in alternative contexts and located within that discussion that fused crimes against humanity, human rights violations and genocide with arguments supporting the legal architecture justifying going to war (jus ad bellum) and the law that governs conduct in war (jus in bello). 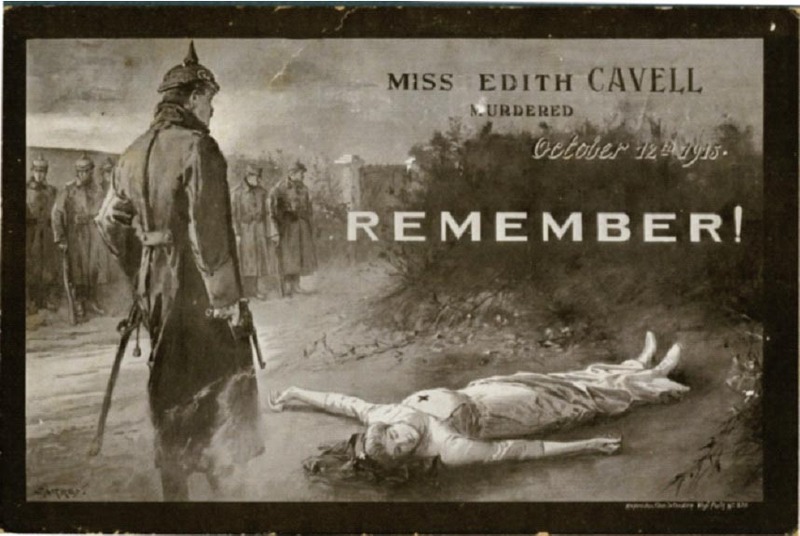 The First World War proved not to be the war to end all wars. Even if it has partly succeeded in uniting us, a century on, in an act of inadequate remembrance, the more remarkable outcome is surely how it has helped us to forget. That litany of tragedies and colonial crimes lurking beneath the surface of Victorian and Edwardian progress has been eclipsed by the infernal image of sacrifice, mud and the old lie: dulce et decorum est pro patria mori. After decades of denial, Belgium is still coming to terms with how public understanding was manipulated to extinguish the memory of the criminal activities of its monarch in his personal fiefdom, the Congo Free State. Similar obfuscations persist in the managing of Britain’s frontier wars during the age of high imperialism. Who remembers today the Sack of Benin or the Denshawai Affair? Bryce lived through an age that saw desperate atrocities committed in the name of civilisation, industrial progress and the advancement of empires. It inspired in him and his Liberal imperialist coterie a conversation that would eventually develop into the language of international human rights law. When Raphael Lemkin coined the term ‘genocide’ in 1943, he did so with the fate of the Armenians in mind. In his final years, Bryce turned his back on history and toiled to build international guarantees for world peace and the prevention of future wars. His years in Washington had made him confident of the ‘enormous and daily increasing influence’ of America, and his efforts in building the Anglo-American special relationship would not be forgotten. His 1917 memorandum to the British government advocating for a League of Nations became a key document at the Versailles negotiations. Like his support for the plight of the Armenians, his campaign for Irish Home Rule remained an issue close to his heart. Bryce died on 22 January 1922, a few weeks after he had helped to move legislation through the House of Lords that brought the Irish Free State into being. Bryce was a strategic choice. Blessed with a wide-ranging and steadfast intellect, during his long career he had brilliantly bridged academia, the law, politics and diplomacy. In his mid-twenties he wrote a history, The Holy Roman Empire (1864), which was compared favourably with Edward Gibbons’s masterpiece, The history of the decline and fall of the Roman Empire. His work on The American Commonwealth (1888) remained a standard text on the subject for the next 60 years. Possessing the aura of a philosopher-statesman, Bryce’s influence within the inner circles of Liberal power extended beyond Britain and Ireland to Europe and the Americas. In his student days, while studying at Heidelberg University, Bryce had developed an affinity with the German people and their culture. He was an active advocate of Irish Home Rule and held a series of ministerial portfolios, including a brief stint as chief secretary of Ireland (1905–7). From 1907 to 1913 Bryce served as British ambassador in Washington and helped to place the Anglo-American special relationship on commanding foundations. He then returned to England to take up a seat in the House of Lords but was ambivalent about Britain’s entry into the war in August 1914. Angus Mitchell is the author of Roger Casement in the ‘16 Lives’ series (O’Brien Press). J. Seaman, A citizen of the world: the life of James Bryce (London, 2006). R.G. Suny, A history of the Armenian genocide (Princeton, 2015). T. Wilson, The myriad faces of war: Britain and the Great War, 1914–18 (Cambridge, 1986).